There is only one place in the town I usually shop in where I can get a halfway decent gluten-free pizza (and cheese bread). They’re very pricey at roughly $12.00 … before adding toppings … for a 10-inch, very thin crust pie. But sometimes it’s worth it if I don’t have a Schar crust in the cupboard, or a homemade one in the freezer. Recently, though, I saw where they now have a couple of gluten-free sub sandwich options. Can I get a yeehaw! everyone? Again, it’s almost $12.00, but I broke down and bought a while back. I know that today’s gluten-free (aka GF) bread product options are much better than what used to be available, and maybe it’s because it’s still early in the whole GF-lifestyle, but I still think they’re a sorry excuse for the real stuff. Better than nothing, but not by much as a rule. So I was excited at the thought of getting a real ham and cheese sub. Until I got it home and opened it up to put mayo on it. And found something that looked like baby poop…and a whole lot of sliced peppers – and they weren’t green peppers. The baby poop-like substance turned out to be a funky mustard, and yes…the peppers were of the really hot and spicy variety. Apparently those come as standard ingredients on a ham and cheese sub, and if you don’t know they’re standard, then all you can do is wipe the sh stuff off and hope for the best. I’ve been around for a while. I know good and well that a ham and cheese sub comes with a bun, ham, cheese, lettuce, and tomato. Some come with an Italian dressing, but most just come with four ingredients slapped on a bun. If you want onions, if you want peppers, if you want mustard…you have to ask. And you usually have to pay extra for them, too. Okay, rant over. I know some people seriously love those two items, but I’m not one of them. The second one I bought – minus the extras, was perfect. And just so you know, an employee agreed with me – you shouldn’t get baby p mustard and hot peppers without specifically requesting them. That aside, the bun turned out to be a flat bread, which was actually very good. Except I found out after asking if I could just buy the flat bread by itself that it’s not flat bread at all. Nope. It’s actually just their pre-made, gluten-free pizza crust, baked and folded in half. Since I’m out of home-baked crusts, I guess it’s time to pick up another Gluten-Free Pantry French bread mix. Based on what I’ve already done, I figure I can get four pie plate sized decently thick crusts…and four thin crusts that I can use for flat bread. So instead of paying almost $12.00, plus gas to get to and from town, for one flat bread sub, I’ll cut that cost down to about $4.00 (or less) to make my own at home. And I don’t have to worry about it being polluted with stuff I don’t like should I be distracted and forget to ask that it be left off my sandwich. Not that I won’t still be ordering pizza and subs from the pizza parlor, mind you. Sometimes I just don’t want to cook, and that will never change. Cottage Inn Pizza is where you can get a good gluten-free pizza or ‘flat bread’ sub if you don’t feel like cooking. They have a dedicated prep area, and are very careful to avoid cross-contamination. There are a number of locations in Michigan, and one in Hilliard, Ohio. 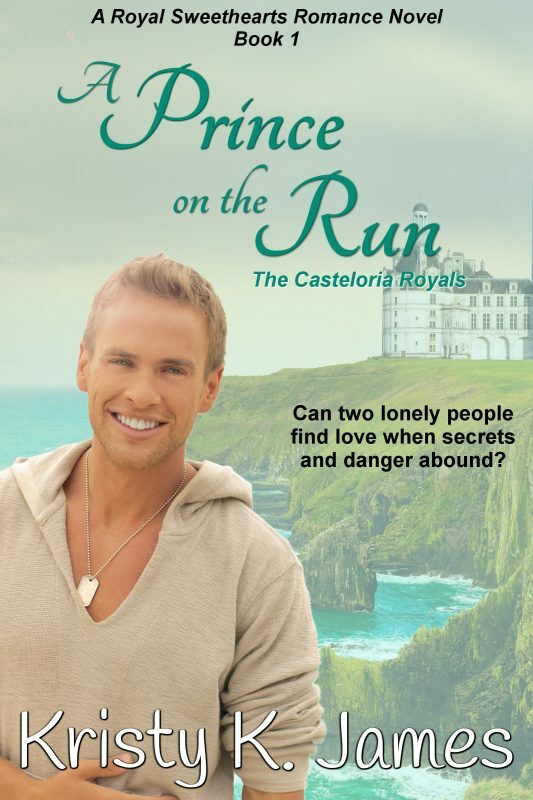 This entry was posted in Love and tagged A Fine Mess, A Harry Situation, A Hero For Holly, Brody's Banshee, Cottage Inn Pizza, Enza, Erin's Christmas Wish, Gluten Free, historical fiction, Kristy K. James, Laying Low in Paradise, Reluctant Guardian, romance, The Daddy Pact. Bookmark the permalink. Oh, don’t envy me, Kathie…that is the only place in town that I know for sure I can get gluten-free food. I did think I had it made for Mexican food. There’s a Chipotle restaurant in the mall in Lansing, and I was excited to try it. The only thing that’s supposed to have gluten is their flour tortillas, so my daughter and I stopped in for tacos. But when I saw them putting the corn tortillas on the SAME warmer as the flour tortillas, I cancelled my order. Yeah…um…no thanks. There is an Outback Steakhouse in Lansing, too…and I understand they have a gluten-free brownie…so I may try that someday. I’ll just hope the service is better than what you got. It’s a shame that their employees are so inept. Gives them a bad name, not to mention the servers probably get lousy tips. I’m nervous about sending food back, so I’d have probably just said to charge me for the salad and soda. I like steaks fairly pink in the middle. Not blood red…but close. And one day at a restaurant, mine came out so well done and tough, I had no intention of eating it. So the waitress took it back. Twenty minutes later I muttered something about it taking so long it was probably going to be raw. And I wasn’t far off. It looked like all the cook did was slap it on the grill, count to ten, flip it over, count to ten again and put it on the plate. When I cut into it, it was as red as the stuff you see in the meat department at the supermarket. I told the waitress to just charge me for the salad, potato, roll and soda. I wasn’t eating that steak either. I so envy you, we only had 2 safe restaurants in town that do Gluten Free, Outback and Sonny’s BBQ, we took my parents out to dinner tonight at Outback, we haven’t been there since June because the last 3 times we went the service was lousy but we had really big parties 8-16 so I put it up to that. Well tonight was worse and I didn’t think that was possible. The messed up both Mother’s and my plate, the poor servers reading off the ticket “pork tenderloin, green beans and mashed potatoes” except the sauce was supposed to be on the side and the plate had no potatoes, at all. Mine was no sauce and a baked potato, no veggie. They got the veggie and potato right. So we sent them back. Hers came out ok my second one was pork, mashed and beans but “it’s gluten free” Yippee, the manager is assuring us as I am waiting for attempt number 3 that I don’t have to worry, they take gluten free very seriously, ah Ok, but you can’t get the order right and I’m supposed to trust you? I finally got the plate and I didn’t get sick but now I’m down to one safe place to eat in town.